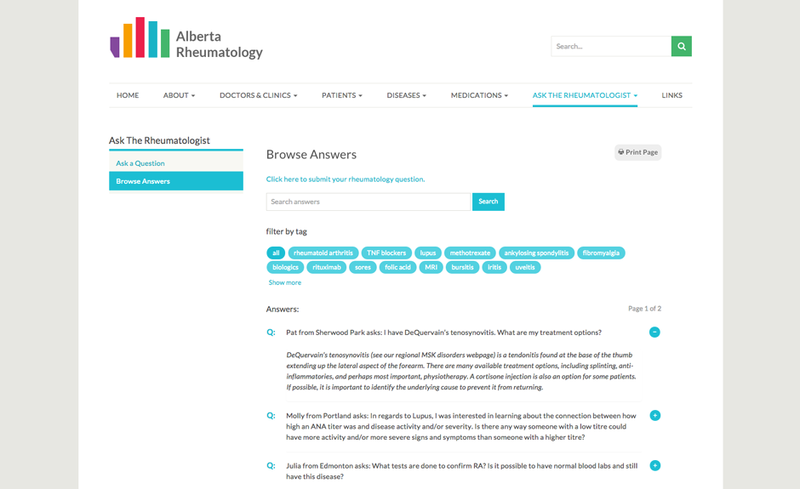 Alberta Rheumatology is a website dedicated to providing accurate & trustworthy information on all aspects related to rheumatology in Alberta. 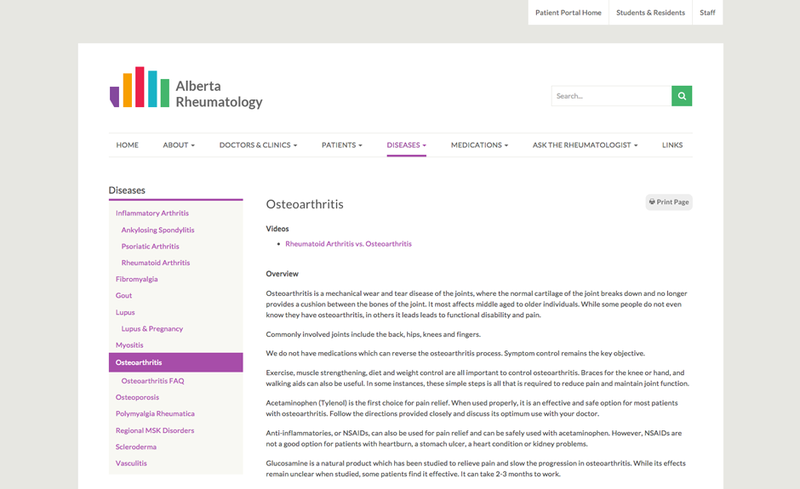 It provides resources for patients, medical students and physicians on rheumatic diseases, medications, rehabilitation, and more. 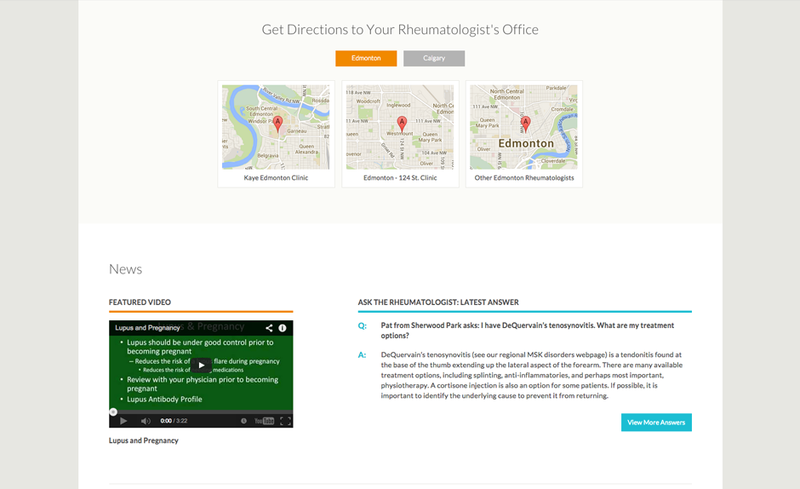 Project Summary: Edmonton Rheumatology came to us with plans to expand out of Edmonton to include all of Alberta. 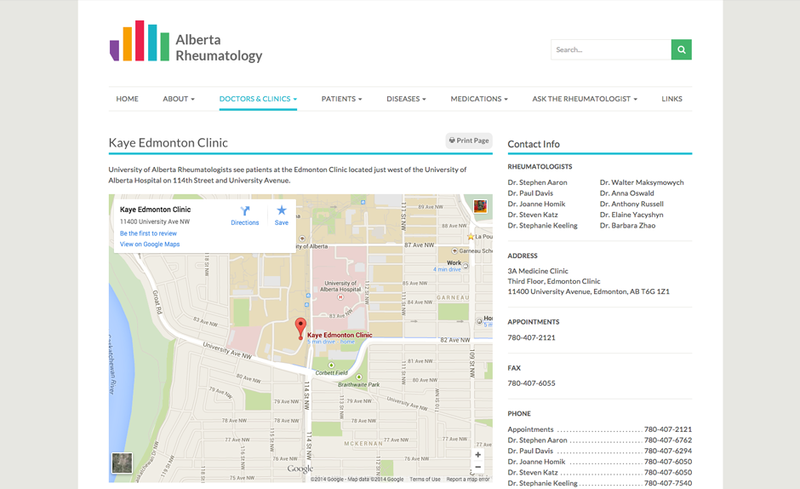 They wanted a fresh new look and also needed the ability to update the website more quickly and easily. 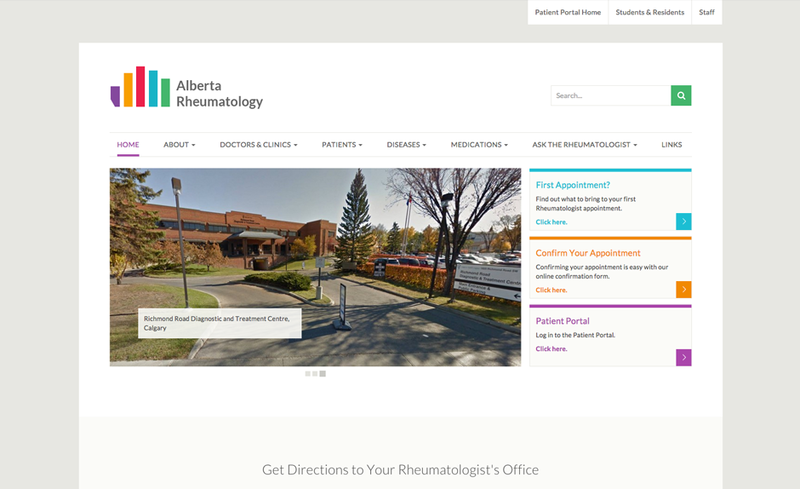 We redesigned their website, updated their logo and put the new website on WordPress so they could easily update the website content themselves from any computer. 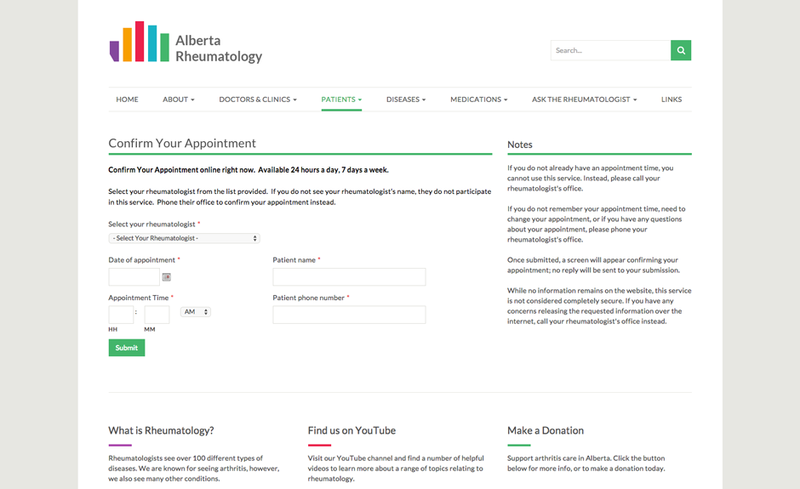 We also built a powerful framework into the website that streamlined existing processes and allows physicians from across Alberta to offer services to their patients via the website such as online Appointment Confirmation, access to a Patient Portal and more.